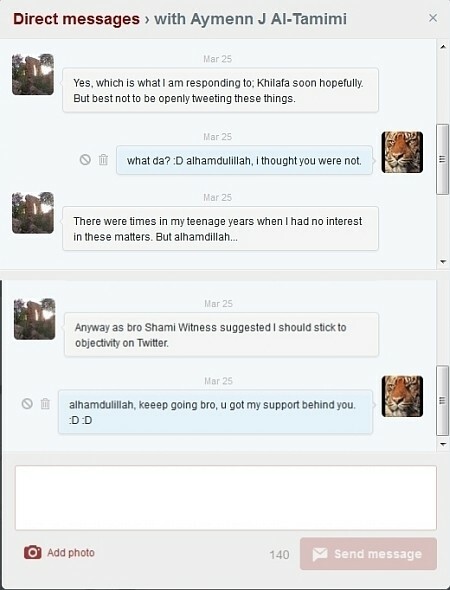 Who remembers @ShamiWitness? At the peak of ISIS’s power, @ShamiWitness stood out as the genocidal militia group’s “most influential Twitter account” according to a BBC Channel 4 exposé and a Kings College report. The @ShamiWitness account was followed by some two-thirds of foreign jihadis. But it went further than propogandizing Islamic State’s massacres and rapes: @Shamiwitness also actively recruited foreign jihadis and helped lead them through the ratlines in Turkey, into the ISIS killing fields in Syria and Iraq, as a George Washington University report revealed this year. As it turned out, @ShamiWitness was a fake “Syria expert”. The millennial yuppie who ran the ShamiWitness account was as much an insider expert on ISIS as the western Syria hacks who boosted him. It wasn’t the “experts” like Bellingcat who unmasked ShamiWitness — quite the opposite, Bellingcat’s team played a major role in building him up as a credible expert. Rather, it was a BBC4 report exposing ShamiWitness as a fake — but a very dark and dangerous fake, with very real world consequences. @ShamiWitness was run by a 24-year-old Indian marketing executive named Mehdi Masroor Biswas, who tweeted out ISIS and Syria “expertise” from his bachelor pad in Bangalore, India. Here is Higgins throwing out a big #FF — or “FollowFriday”. For the mercifully uninitiated, “#FF” is how you recommend other accounts to your own followers to follow. #FF is a key part of any brand-building strategy. You #FF someone who you think will make you look good, and who you hope will #FF you back to their followers. This is how ambitious Twitter propagandists build brand following. Backed by an army of punked-out teens, cult Russian novelist Eduard Limonov dedicated himself to taking on Vladimir Putin. Will death threats and nutty supermodels derail his democratic revolution? According to a former SAIS student, not only did Karlin order a nuclear strike on Pakistan, she also took the opportunity to nuke Iran. Her classmates were shocked. It was the first time in 45 years that a simulation concluded with the deployment of a nuclear weapon. So what does Myanmar’s population look like? Its last baby boom happened in the 80s, when the fertility rate was 4.0 to 4.7 – that’s four or five kids per mother. Today it’s just over two kids. This means people born before the mid-90s pose more danger to the regime than any generation after them. Those people hit twenty during the last decade, and, sure enough, massive protests suddenly broke out in 2007 after 19 years of relative tranquility. Media sources never failed to mention that the protests were “monk-led,” but no one seems to have caught the significance of that.